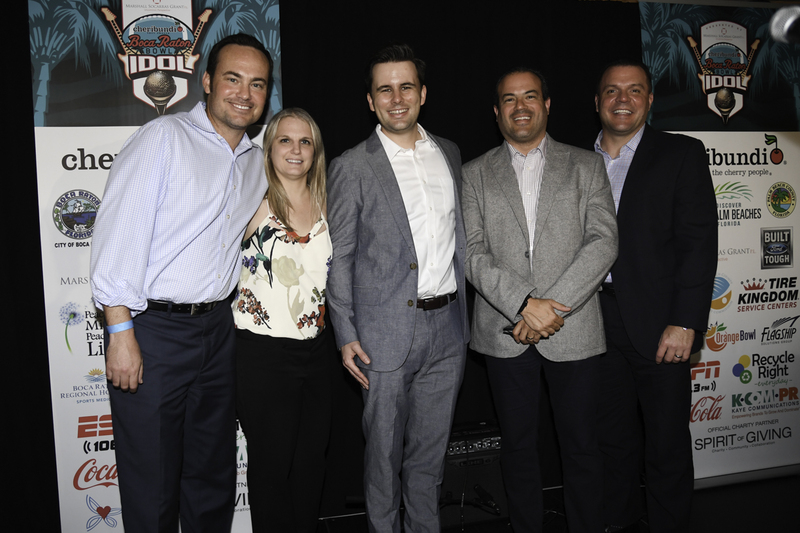 To a packed house filled with more than 300 community leaders and friends, family and Bowl fans, the top eight semi-finalists “gave it their all” last night in the 2018 Cheribundi Tart Cherry Boca Raton Bowl Idol talent competition presented by Marshall Socarras Grant. 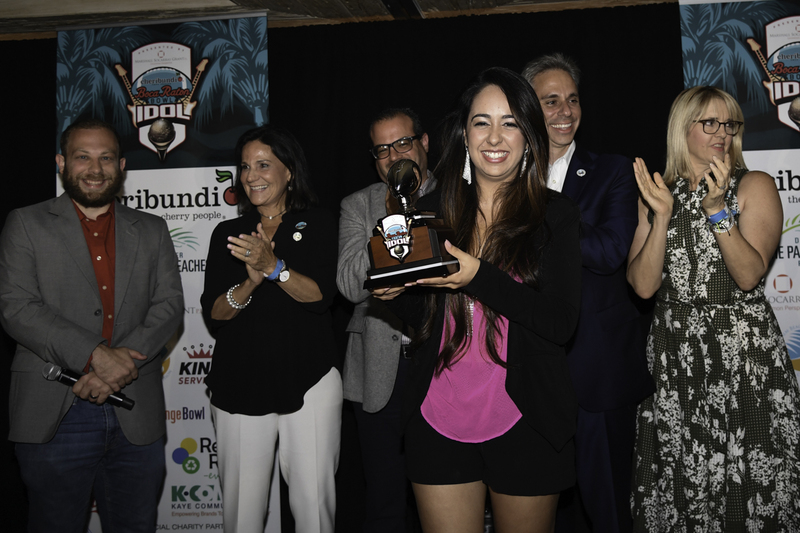 After performing live in two rounds to win the opportunity to sing the National Anthem at the 2018 Bowl game on Tuesday, December 18 at FAU Stadium, Adrianna Foster, 32 of Miami triumphed. 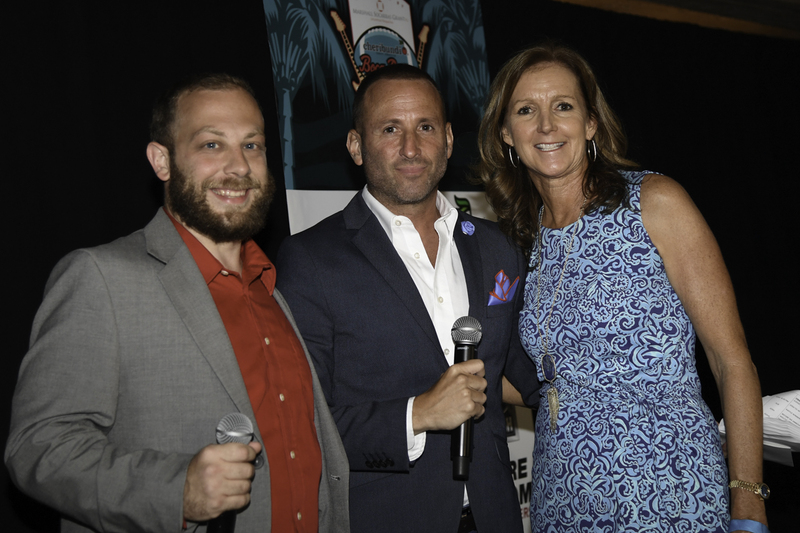 Held at The Addison in Boca Raton, the event kicked off the month-long Greater Boca Raton Chamber of Commerce Festival Days and benefited the Bowl’s Charity Partner Spirit of Giving. 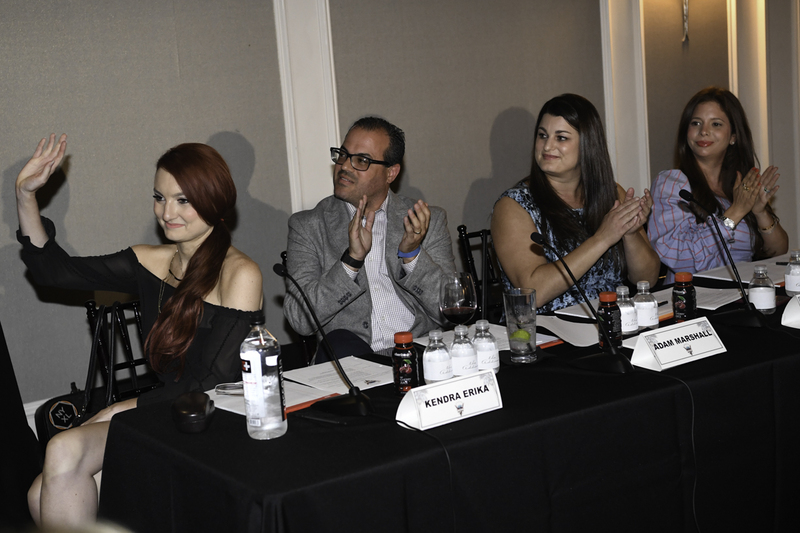 Chosen through an open-to-the-public round of online voting, the eight semi-finalists, ranging in age from 13 to 55, hailed from Boca Raton, Coral Springs, Delray Beach, Lake Worth, Miami, Tamarac and West Palm Beach. Each performed a song of their choice for the live audience and a combination of audience votes and judges selections determined the top three: Emma Brown, 14, Lake Worth; Adrianna Foster, 32, Miami and Mikaylah O’Brien,13, Boca Raton. The three finalists took to the stage once more to sing the National Anthem, so that the judges could determine the ultimate competition “winner”: Adrianna Foster. The 2018 Cheribundi Tart Cherry Boca Raton Bowl Idol looks forward to performing the National Anthem during opening ceremonies to a stadium crowd prior to the game being televised nationally. She will receive10 game tickets for family and friends which include sideline access during the performance. Born in Mexico, Foster moved to Florida at the age of 12. She has been singing professionally for the past 18 years and is often invited by a variety of nonprofits to open their events by performing the National Anthem. Foster shared that “singing is her love language, and the way she communicates her passion for life with others.” She is honored to be given the opportunity to sing the anthem of “the land she calls home” during Bowl opening ceremonies. For more information on the 2018 Cheribundi Tart Cherry Boca Raton Bowl set to kick-off on Tuesday, December 18 at 7 p.m. at FAU Stadium, lead-in events and bowl game ticket sales, visit www.cheribundibocaratonbowl.com/. The Boca Raton Bowl is one of 41 postseason college bowl games in the country and the only one hosted in Palm Beach County. Featuring all the pomp and circumstance of traditional bowl events, the Cheribundi Tart Cherry Boca Raton Bowl is a high-energy, entertaining experience for both college football fans and non-fans alike and allows the national spotlight to shine on Boca Raton and Palm Beach County. This year, the fifth annual bowl game will have primary tie-ins for teams from Conference USA and the American Athletic Conference with the Mid-American Athletic Conference having a secondary tie-in. The team from Conference USA will make its headquarters at the Boca Raton Resort & Club and the American Athletic Conference team will be at the PGA National Resort & Spa in Palm Beach Gardens. This bowl game first ‘touched down’ in 2014 and has since aired live annually on ESPN throughout the U.S., as well as on international affiliates in South America, the Caribbean, Australia and Europe as well as on ESPN Radio. As one of 14 bowl games owned and operated by ESPN Events, a division of ESPN, this year’s bowl game is once again held on the Tuesday before Christmas. The event has become a celebrated annual holiday tradition in Boca Raton and Palm Beach County as it lives up to its other name, ‘Boca’s Biggest Annual Outdoor Party’.” Bowl week activities will begin with the arrival of the participating teams on Friday, Dec. 14. Days, times and sites for the team welcome parties, beach parties, luncheon, pep rallies and other bowl week activities will be released at a later date. For more info, visit www.CheribundiBocaRatonBowl.com.